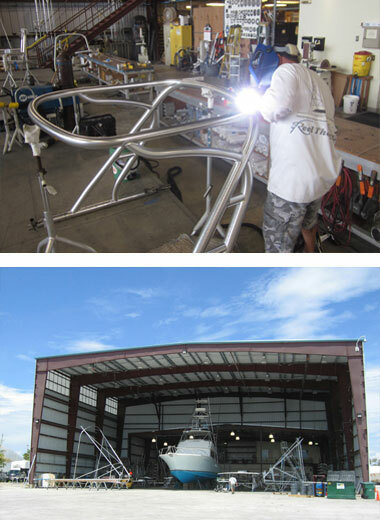 Palm Beach Towers provides opportunities for employees to showcase their talents and craftsmanship in manufacturing custom and cutting-edge designed towers, components and fiberglass hard tops that keep pace with modern styles of today’s ever changing yachting industry. Along with competitive pay, excellent benefits and a 4-day work week, PBT employees enjoy a safe and positive work environment. Viking Yacht Company FLORIDA is always seeking outstanding people to join our Palm Beach Towers team. Join the Viking Yacht Company Talent Network today to stay up-to-date on our current openings for jobs as they become available! We currently do not have any openings for Palm Beach Towers at Viking Yacht Company FLORIDA. If you join our Talent Network, we will email you as soon as similar jobs become available.